Jewish Art in Jewish Classrooms is now offering workshops to help educators use our materials in their classrooms. Our curriculum teaches our children about the customs, rituals and history of the Jewish people through visual art. Information is available here. "I was amazed to see how every single one of my students was highly engaged in the process of observing and discussing the artwork provided." -- Synagogue Religious School Kindergarten teacher in Chicago. We have extensive information about this project on our website. Click here for details on the project. On the website, you can learn about the IOU teaching method, review a sample lesson plan, view a short segment from our supplemental video (link to video above or from several pages under the JAJC tab) and find quick answers to your questions on the FAQ page. Jewish identity is often most strongly expressed today through appreciation for aspects of Jewish life beyond rituals. This curriculum will engage your students in exciting new paths to Judaism. 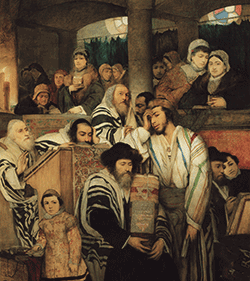 Jewish art has taken on vastly different forms throughout the many eras of history. Yet one particularly unusual method of Jewish art is almost never discussed: carving. Jewish carvings can be seen in many synagogues today, but they are also found in an unexpected source: carousels. 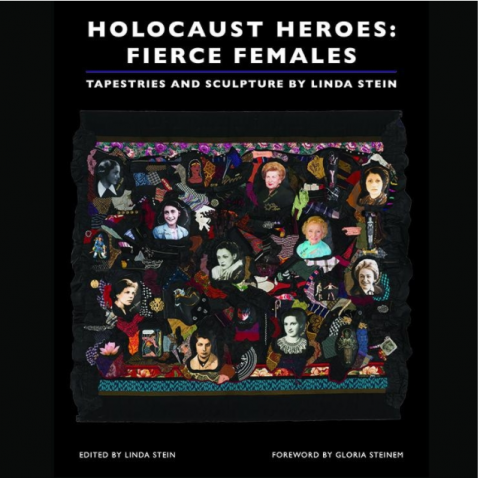 Jewish Art Education's newest program will discuss this unique art form and how it was used by European Jewish artists. S. Ansky, born Shlomo-Zanvil Rappaport in 1863 in Vitebsk, now Belarus. He was a political revolutionary and an ethnographer who came to the realization that a centuries-old Jewish life was about to disappear as his contemporaries adopted modern lifestyles. After traveling abroad, he returned to St. Petersburg in 1905 and affiliated with the Jewish Historic-Ethnographic Society. By 1912, he had conceived and organized a two-year ethnographic expedition to survey Ukrainian Jewish life. Their aim was to collect Jewish art and material culture that would become the basis of a Jewish museum in St. Petersburg. All images and text are from the catalog of an exhibition at the American Folk Art Museum in New York City. It is titled: Gilded Lions and Jeweled Horses, and was written in 2007 by Zimiles, M.